California, MO (January 17, 2018) – The offseason has been a very busy time for Clyde Knipp Racing. 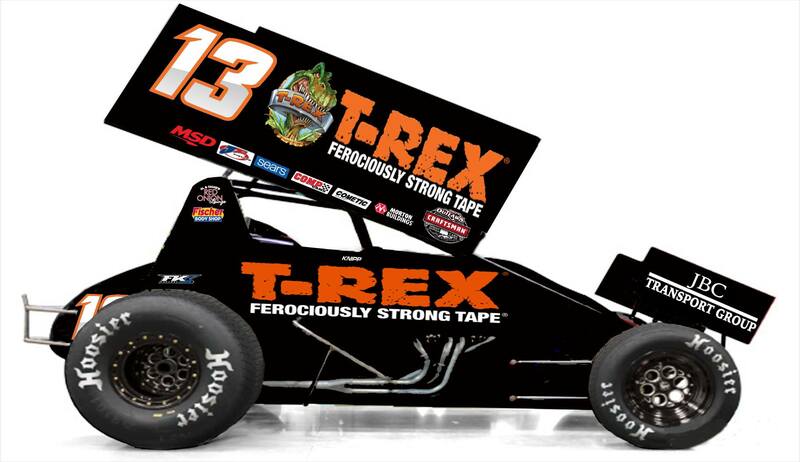 Set to begin his third season with the World of Outlaws Craftsman Sprint Car series on February 9, 2018 at Volusia Speedway Park in Barberville, FL, Clyde Knipp will feature a new primary marketing partner: T-Rex® Tape. 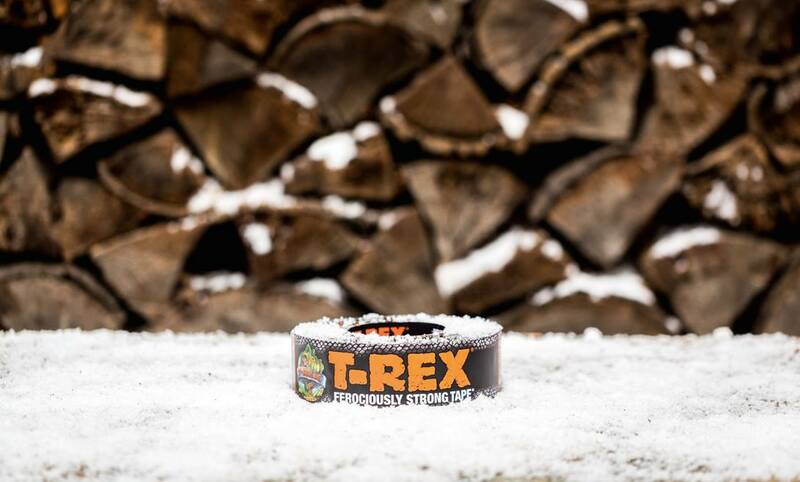 T-Rex® Tape is designed for those moments when you need intense holding power, no matter the application. The Ferociously Strong Tape® is ideal for homeowners, craftsman and outdoorsmen who demand the highest quality tools and gear. Unlike ordinary duct tapes, this Ferociously Strong Tape® is formulated with super-durable, extra-thick, UV-resistant materials to work longer and hold stronger than other utility tapes, on rough and dirty surfaces and through all-weather types and temperatures. Perfect for simple, around-the-house fixes, tough projects on seasonal to-do lists or moments in the great outdoors – there’s no project too big or too small for these ferociously strong products. T-Rex Tape® is marketed by ShurTech Brands, LLC, based out of Avon, OH. ShurTech Brands markets DIY (Do It Yourself), EIY (Express It Yourself) and Home & Office consumer products under the Duck®, FrogTape®, T-Rex® Tape, Painter’s Mate Green® and Shurtape® brands.